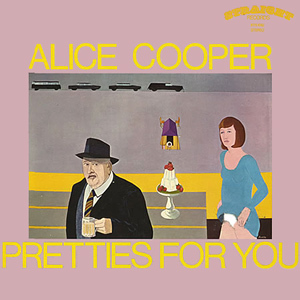 Mike and I begin our album by album review of Alice Cooper records with their first release “Pretties for You”. While both of us Mike are HUGE Alice fans, the initial albums are a bit of an acquired taste. We will each be ranking the albums as we progress through the Cooper catalog. Which is neither interesting or informative one album in, but here you go…. Tagged Alice, Alice Cooper, Pretties for You. Bookmark the permalink.